During a recent trip to Tokyo, I visited the lifesize Gundam at Odaiba and took the opportunity to take a fun photo. 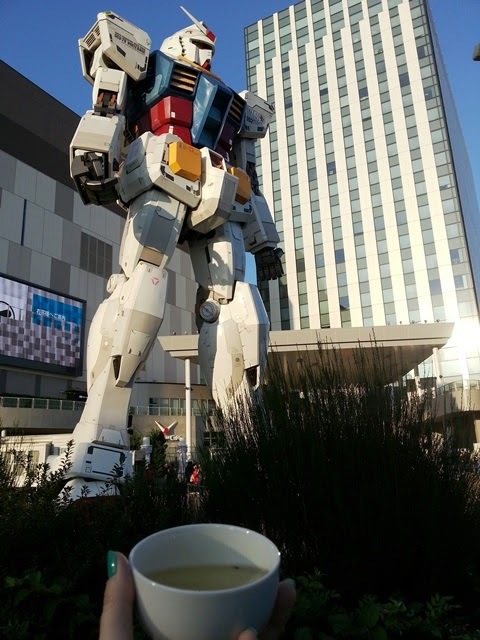 Drinking mecha (tea) with mecha (giant robot)! This photo was inspired by Yunomi's Mecha vs. Mecha post.